You know, those unusual books that aren’t quite like anything you’ve read before? That have plots you can't predict, characters you couldn't dream up or individual writing styles that are like nothing you’ve ever read before. They're "quirky" books – starting to think that should be a category on Goodreads (I just Googled it and they do have a quirky list on Goodreads) – that are unlike anything you’ve ever read. If you like books like that, then try these. Ove is struggling trying to find his place in a new world – one where an honest days work doesn't count for as much and people don't know how to reverse trailers. He's made a decision about his next step – but his jolly neighbours keep interfering. Ove is a grumpy but loveable character. He reminds me so much of my boyfriend (seriously). Ove's a reminder of how kindness and love aren't always shown in the ways people expect. I mentioned this book in my July Edit last week as I loved it, and it inspired me to do this 5-to-try. You'll find it's impossible to not love Ove by the end of this book. I LOVE this character. Nombeko Mayeki is everything you want to be – clever, quick, an opportunist, kind, inclusive and the ideal person to have in a poo-storm. This book is the only non-Dan Brown book my boyfriend has read in years and he loved it. It's outrageously quirky, as all Jonas Jonasson books are, but you will love Nombeko. In fact, you'll want to be Nombeko. She is a Kween. Plus! James Bradley is an Aussie author. Gotta support 'dem Aussies. My advice: great book club book. Another character that I caps-locked LOVED. 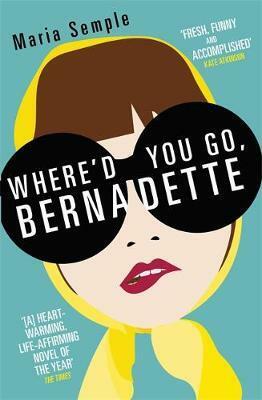 Where'd You Go, Bernadette made me LOL. And I'm not just saying that, I actually laughed out loud. 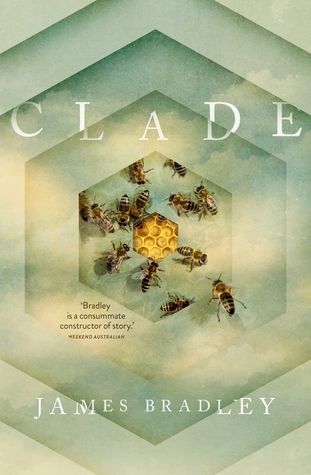 Fifteen-year-old Bee is trying to find her public menace of a mother, Bernadette. Bee, Bernadette and her father are meant to be going on a trip to Antartica together, but Bernadette is no where to be found. It seems Bernadette has had some "trouble" settling in to their new Seattle home. Problem is, Bee hasn't just lost her mother – she's lost her best friend. Bernadette is honestly the type of person I want to be friends with. Psst! Find other laugh out loud books here. I'm sorry – I know I'm doing two Jonas Jonasson books but he is the King of Quirk. In The Hundred-Year-Old Man Who Climbed Out Of The Window and Disappeared, Allan Karlsson is fighting fit and about to turn 100. Dying doesn't seem to be on the cards, and nursing home life is a bit of a drag – particularly for someone who's lived a life like his. So one day, in his slippers, he climbs out the window and embarks on a new adventure. You soon learn that adventure is his middle name. If you like quirky books that you can in no way, shape, or form predict, then this is the book for you.